In these recent, wide-ranging interviews, conducted for Truthout by C. J. Polychroniou, Chomsky discusses his views on the war on terror” and the rise of neoliberalism, the refugee crisis and cracks in the European Union, prospects for a just peace in Israel/Palestine, the rise of the Black Lives Matter movement, the dysfunctional US electoral system, the grave danger posed to humanity by the climate crisis, and the hopes, prospects, and challenges of building a movement for radical change. Noam Chomsky is Institute Professor (Emeritus) in the Department of Linguistics and Philosophy at MIT. His work is widely credited with having revolutionized the field of modern linguistics. He is the author of numerous best-selling political works, which have been translated into scores of languages worldwide. C. J. Polychroniou is a regular contributor to Truthout as well as a member of Truthout's Public Intellectual Project. He has published several books and his articles have appeared in a variety of journals, magazines, newspapers, and popular news websites. This book of interviews with Noam Chomsky is a must read in these troubling times. Divided into three parts, it begins with Chomsky’s razor sharp analysis of neoliberalism, imperialism, the EU, the role of religion in politics, and class polarization. In the second, it focuses on the Trump presidency and lays out the long history of US foreign policy, as well as other topics such as health care, global warming and education policy. Finally, it looks at various alternatives—anarchism, communism and socialism. 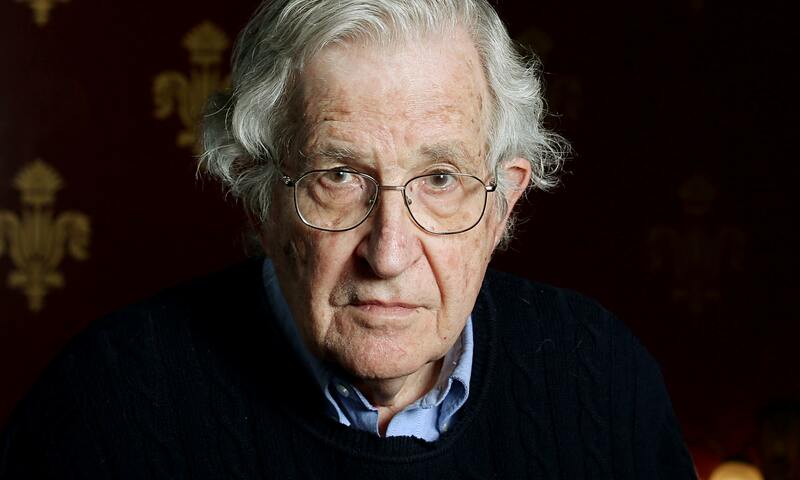 This is an excellent collection of interviews that highlights Chomsky’s encyclopedic knowledge of the key issues of our day and his unwavering criticism of the regime of the global 1%." —Deepa Kumar, Islamophobia and the Politics of Empire.